The path metaphor reminds us that we each have our own unique journey. 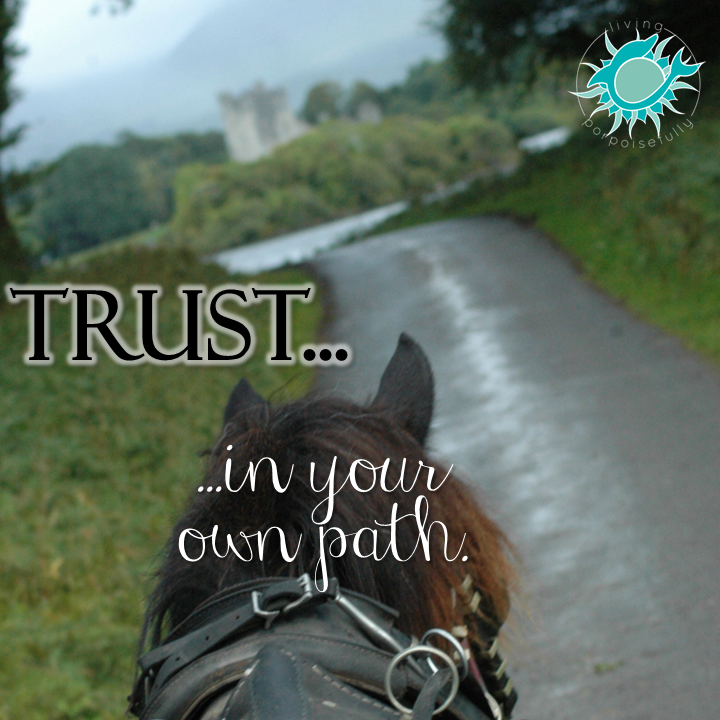 When we were in coastal Ireland last year, we went on a horse carriage ride that brought us down a most beautiful path that led to a castle surrounded by water. We couldn’t stop taking pictures of how beautiful the path was! We love the path metaphor, and like to think that we all have our own path we’re on in life. Sometimes we all can get sidetracked thinking that someone else’s path is better or has less bumps in the road, but really all of us each have our own unique journey in life. So, whatever your path is, take the time to enjoy the scenery as you go and fully embrace the journey that is yours!